On this page you will find a variety of New Haven Road Switchers. Some units of my locomotive roster are straight out of the box, and some have been detailed to be correct for the New Haven. As hobby time is available, I'll eventually get all these units detailed to the level I desire. DERS-1b American Locomotive Company (Alco) RS-1. These 1000hp locomotives were delivered to the New Haven in 1948, and were actually preceded by delivery of New Haven RS-2's. RS-1's began in light passenger service, notably on the Naugatuck Line, but even slight grades showed the units slightly underpowered for this service. The RS-1 served most of their years performing switching tasks for the New Haven, and many migrated to the Old Colony Division by the end of their careers. Several lasted into PC service. Unit 0668 is an Altas unit right out of the box. This unit is painted in the last scheme developed by the New Haven, about 1957. 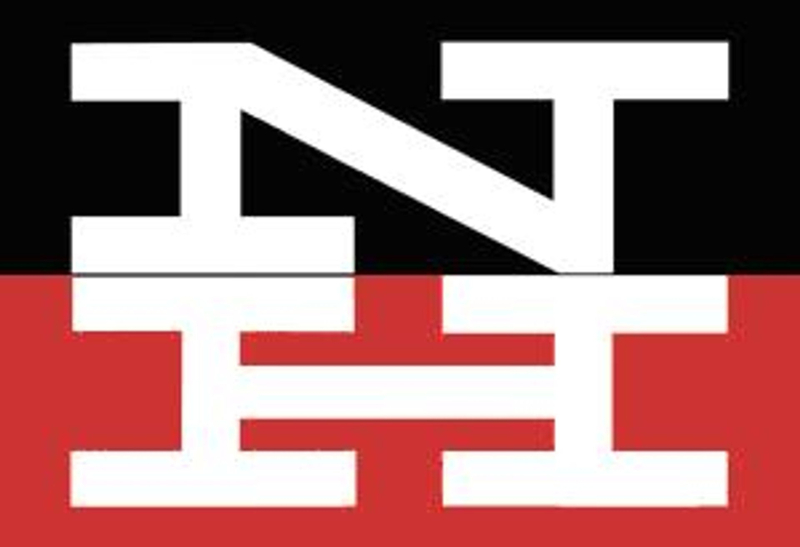 Even though the unit wears the block "NH" herald developed during the McGinnis administration, this variation with red-orange hoods, black cab and the herald applied to the cab is from the A;pert, or Trustee period of management. DERS-2b Alco RS-2 locomotive. As mentioned above, the 0500-0516 series RS-2's arrived on the NH in 1947 and '48, before the RS-1's. These 1500hp units were also dual-service equipped, capable of hauling freight tonnage, but also with steam generator equipment installed, available for passenger service as well. These units first dieselized the Berkshire line, running South from Pittsfield. They also saw service on the Naugatuck Line. After a few years of solid performance, and with the arrival of newer motive power, they were relegated primarily to freight extras on the Old Colony. Unit 0509 is an out of the box Life Like Proto 1000 model in the "hot dog" or "Balloon" scheme applied to some units in the mid-1950's before the start of the McGinnis administration. The exhaust stack is in the delivery position, indicating it is still the air-cooled design. By the late '50's many were equipped with a replacement water-cooled stack as shown on the RS-3 below. DERS-2c Alco RS-3 locomotive was the successor to the RS-2 and was delivered in three groups to the New Haven; 517-536 in 1950, 537-546 in 1951 and 547-561 in 1952. All units were 1600hp but the first group was characterized by a solid handrail across the pilots. As on many other railroads, these units performed yeomans work - hauling both freight and passenger consists to the end of the NH. Unit 525 is an Athearn model straight out of the box. The paint scheme represents the delivery scheme for this group of units and the exhaust stack on the hood is turned 90 degrees, indicating conversion to a water-cooled exhaust. There have been comments on the internet that in some cases foreign material needs to be removed from the gear boxes for successful operation. Overall, these units are dimensionaly very good, and some prefer the hood curvature profile of the MDC/Athearn shell to those offered by Stewart or Atlas. DERS-3 H16-44 Fairbanks Morse (FM) locomotive. After WWII FM was developing new uses for their opposed piston (OP) diesel engine that was successful in US Navy submarines during the war. Marine applications included tug boats, but FM also developed a diesel engine for railroad locomotive use. The 1600hp Raymond Loewy-styled H16-44 units were purchased by the New Haven in 1950 and assigned roadnumbers 560-569. However with the continued purchase of Alco RS-3's, the FM units were renumbered into the 590-599 series. While the OP engines were strong operators, they were an oddball type on the predominantly Alco-powered NH and service and maintenance were difficult in comparison. The DERS-3 congregated around Providence by the late '50's, performing local switching and freight duties. Some survived in service beyond the New Haven. This is a Car Works brass H16-44 that was produced several years ago. While this model has the correct truck sideframes and battery box location on the walkway, it does have its own problems with number boards and location for an expensive brass unit. At some point I will decide on a road number and paint scheme and the unit will be put in service in the Providence area of my layout…when I get there. Atlas makes a very nicely detailed and good performing model of this locomotive. The only drawback is the battery box on NH units was located near the middle of the long hood walkway, and the Atlas model features them directly behind the beautiful reproduction of the Lowey-styled cab. Standardize on locomotive types - EMD would provide yard switchers with main line freight capability, hood units that were dual-purpose for hauling passenger trains or freight consists, and electric-diesel-electric locomotives capable of running on 600V DC third rail power into GCT, or under diesel power alone over the rest of the New Haven. Well, part of the proposal worked, but not well, and part didn't work at all, and part could not be implemented period. One part that didn't work well involved EMD's ability to supply the number of road switchers the New Haven needed right away. As a result, three classes of road switcher, from three different manufacturers were all purchased in 1956. DERS-4 EMD GP-9 locomotive. This was the 1750hp locomotive as proposed by EMD to fulfill the New Haven's dual service needs, They were numbered 1200-1229 on the New Haven. They performed well, however required additional water tanks added along the walkways on both sides along the long hood immediately behind the cab. Life Like Proto 2000 (LLP2K) makes a "Phase II" GP-9 that only requires addition of the walkway water tanks and Hancock air whistles used on many NH locomotives, to be correct. DERS-5 Alco RS-11 locomotive. According to the strategy, the NH required a total of 60 road switchers for operation. Since backlog orders for the popular EMD GP-9 resulted in only 30 units being available for the NH, 15 RS-11's were purchased from the old New Haven stand-by, Alco. These 1800-hp units were numbered 1400-1414 and were also equipped for dual freight and passenger service. A design feature of these units was a split water/fuel tank, and leaks in the dividing wall resulted in all RS-11's eventually being assigned for freight-only use. It took me a while to make up my mind between Atlas and Life Like Proto 1000 (LLP1K) models and I finally selected the LLP1K units. Both Atlas and LLP1K offerings are reasonably well detailed and have some dimensional flaws and owners of each model seem satisfied with them. My RS-11’s are my current project but unit 1412 is coming along well enough that you can see some of the changes that are required. Many of these same changes are needed for the Atlas product as well. The body shell is separated from the walkway and drive chassis because I have completed most of the body modifications and will soon begin work on the walkway area to complete the model. On the long hood, the tall stack has been shortened to be almost flush with the roof and grabs have been added behind the radiator fan at the rear of the hood. On the cab I had to remove some kind of radio antenna. The short hood has been modified to include the steam generator equipment detail parts. I have also begun to enlarge the cab window on this side only. Once the walkway is modified to have the cab signal equipment on this side as well, Hancock air whistles will be installed and the unit will be pretty much done. Be careful when modeling RS-11’s. When originally delivered all units were equipped with the same fuel tank (similar to the one on the LLP1K model) but by 1957-8 it appears four units were equipped with a different style tank. This is just one more case where it’s best to work from photos of the unit you are modeling. DERS-6 FM H16-44 locomotive. The NH already had ten of these 1600hp units in class DERS-3. The early 590-599 series units were built in 1950 and used the Raymond Lowey-designed hood and cab that were developed for the earlier H15-44 product from FM. When the 1600hp engine becasme available, it was installed in the existing design. The DERS-6 class, while also 1600hp was built using the "Trainmaster" carbody design and was capable of MU operation with other 1956 locomotives. The earlier DERS-3 class was only capable of MU with other Loewy-style units of the same series. I was getting tired of looking at my “out of the box with no handrails even” shot of unit 1605. This is another of the Bachmann Spectrum H16-44 models (at least three road numbers released), unit #1611. I have replaced the overly large Bachmann roadnumbers with Accu-cal decals and installed Details West Hancock air whistles. The roof of the short hood still needs some minor upgrades to represent a steam generator equipped unit. I have also added 6 nut-bolt-washer (NBW) parts along each side of the fuel tank to more closely match the prototype.